Particularly for UI/UX designers, that one percent inspiration is the most important, even more significant than the ninety-nine percent perspiration. Inspiration is a fickle thing. So that most designers, when lacking ideas, always turn to design galleries & websites to find creativity. Hope this gallery will be favorable for creatives who always look for inspiration to kick start personal or commissioned projects. Founded in 2010, Freepik has become to a big company over 100 people from a small team with only 3 people. The original intention of this team is to offer users with high- quality graphic designs, including exclusive illustrations and graphic resources (images, vector graphics, illustrations, PSD file material) carefully selected by their design team. All the great content that can be used in both personal and commercial projects. 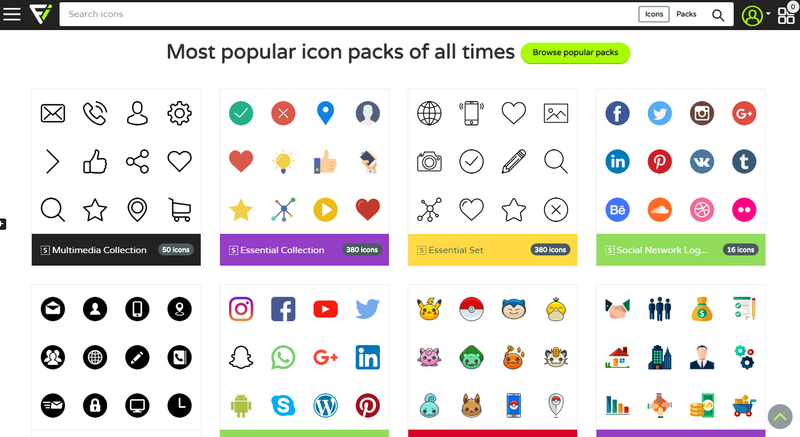 Flaticon is the brother of Freepik, it boasts the largest database of free icons available in PNG, SVG, EPS, PSD and BASE 64 formats. 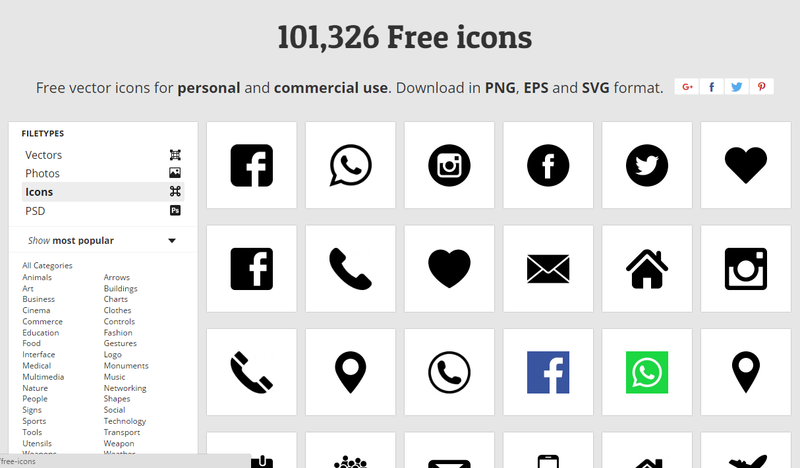 In addition, a total of 205,043 vector icons grouped in 3,372 packs is available for commercial and personal use. 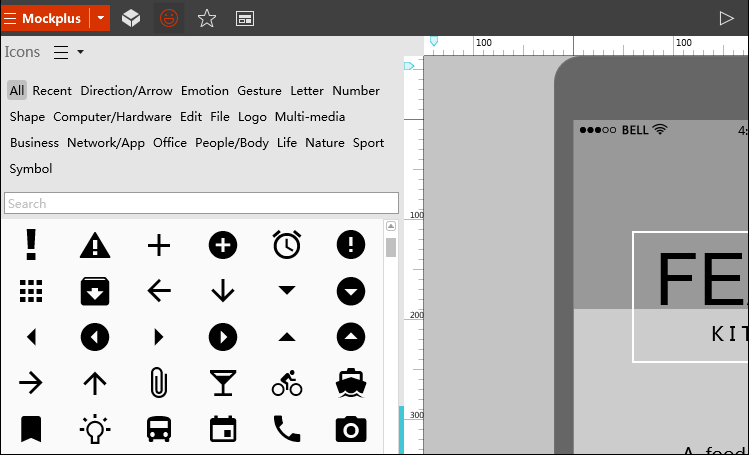 If you are willing to, just take out your own skills and be an icon creator on Flaticon. 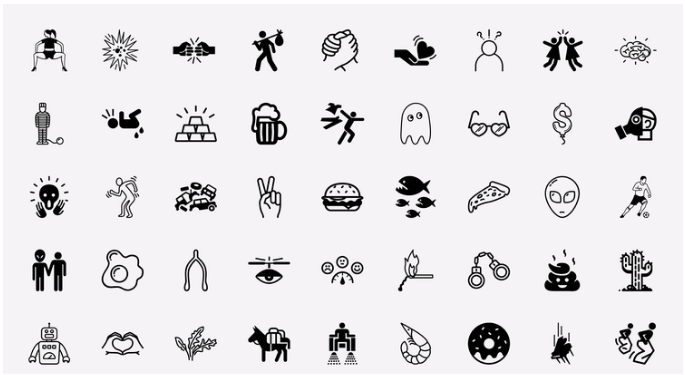 The Noun Project is an online site collecting and sharing the best sign material, and providing more professional & creative icons for creative designers. In addition to the common icon, you can also find a richvariety of symbols in different fields. With novel symbols and patterns, that helps to express visual sense more lively and invigorating. Browsing through the extensive icon library, you will often get a glowing windfall. You’ll scream out, “That’s exactly I wanted!” The mobile application Nounji makes your text online chatting visually and lively. I can hear that you have lots of doubts and questions, let’s cool off, and back to the topic of icon resource. After checked Mockplus and many other prototyping tools, Mockplus embeds a large quantity of icons amount more than 3,000 with clear categories. The clever combination of icon library and prototyping tool makes designers have no worry about icon shortage and also be time-saving for projects. 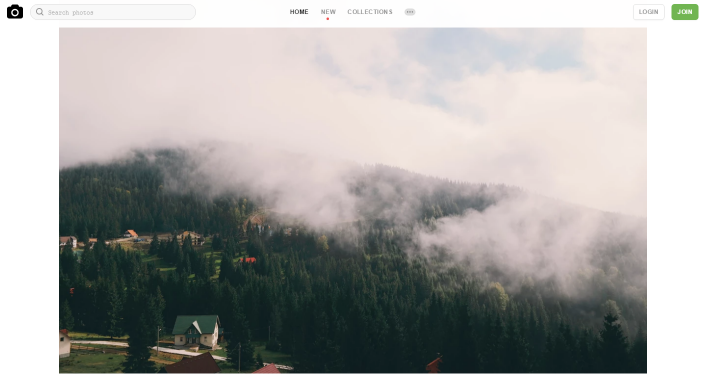 Unsplash is a free commercial or personal use high-resolution picture website. 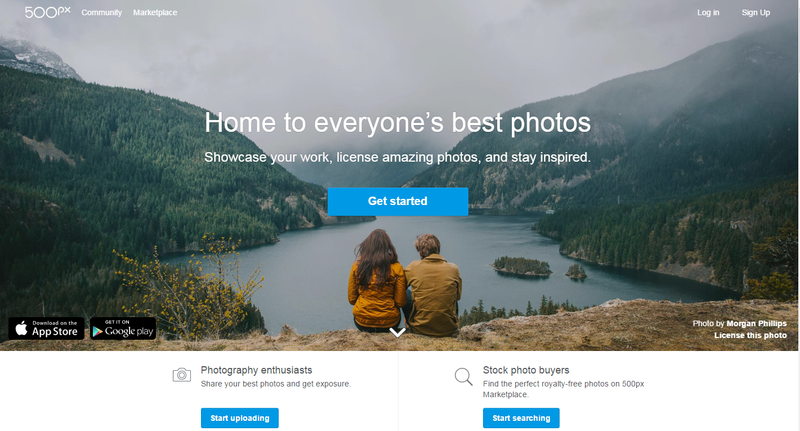 The featured photos are chosen to update 10 every 10 days by notable creatives. Pictures are mainly displayed in 5k pixel-dimensions and categorized in human, life, nature. 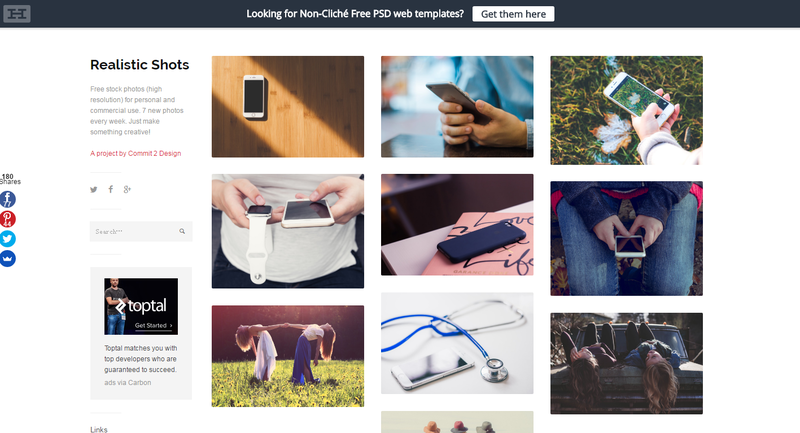 Since the high resolution, pictures can also be used in web design.Pictures support to download directly. Pexels provides a convenient search for users, tags and popular searches are just below the Homepage. The whole style of pictures on this website tends to a little bit commercial. Abundant types of pictures with high quality can definitely satisfy your requirements. Pictures support to download directly. 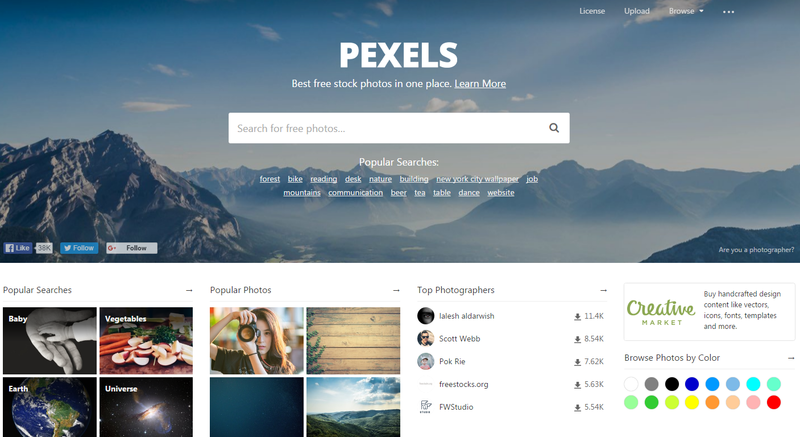 Created in 2003 in Canada, 500px is a high-quality image community formed by a group of shutterbugs around the world. It aimed at finding the best photographic talent, share and discover wonderful pictures. Thousands of premier works on the internet create the most dynamic, and the most friendly photo community. To use the premier pictures, you need to give credit to the photographer. 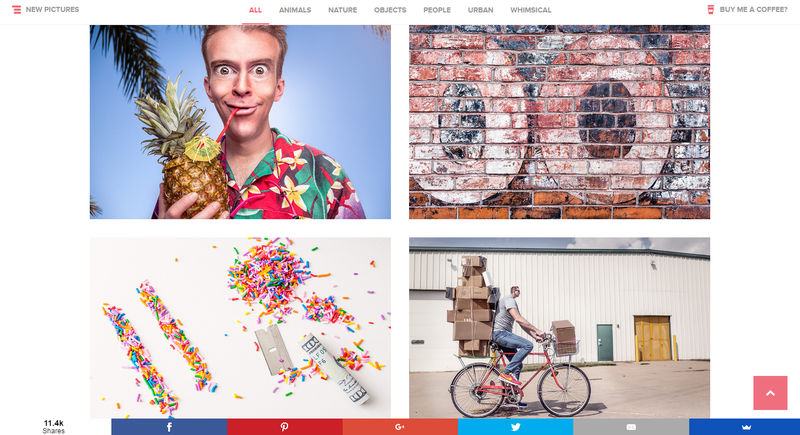 Realistic Shots offers free stock photos (high resolution) for personal and commercial use. 7 new photos every week. Pictures are more focus on 5 categories, including architecture, nature, people, travel, science & technology. Pictures support to download directly. Website logo of Gratisography is a pink bunny. Its pictures are focused on animals, nature, objects, people, cities, and absurd materials. If you need pictures with more personality, just visit it to find some innovative images, very special. Pictures update weekly, and support to download directly. 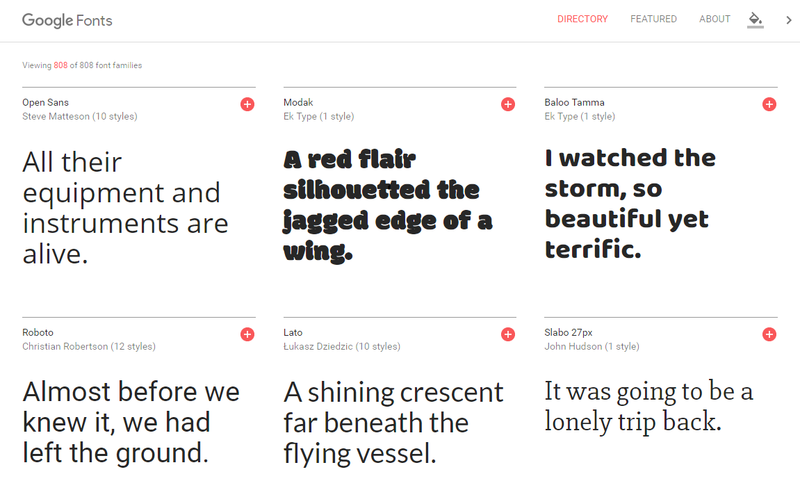 RightFont is a lightweight font management tools, supporting to preview, synchronize, install and manage yourfonts on Mac or Dropbox / Google Cloud. Also, it supports to integration with Adobe Photoshop, Illustrator, Sketch, etc., which enhanced font management capabilities. When inserting text for beautification in Sketch, double-click RightFont list, various fonts in Sketch can be changed immediately. This nice feature greatly improves the working efficiency of designers.